The holiday season is upon us which means plenty of festive parties and home entertaining. 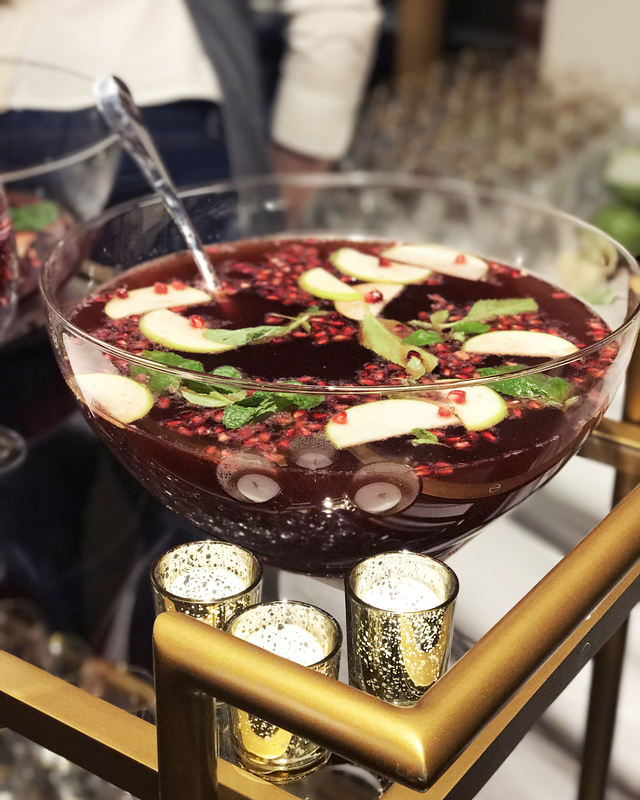 To get in the holiday spirit, I hosted a holiday party with Stella Artois to share some of my favorite hosting tips and traditions. Here they are so you can throw a festive fete of your own. 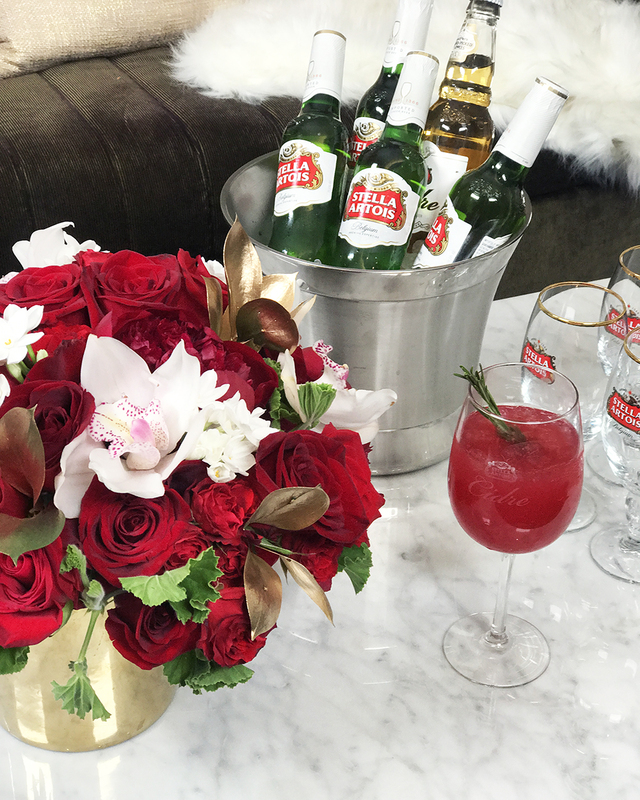 For the celebration, I created my own signature cocktail: the Stella Artois Cidre Sparkler. Try it out and let me know what you think! Bring cranberries and water to a boil and cook until cranberries are soft and can be crushed with spoon. Remove from heat and add sugar and rosemary, stir to dissolve sugar. Let steep for at least one hour, strain and press the juice from the berries. Let chill. 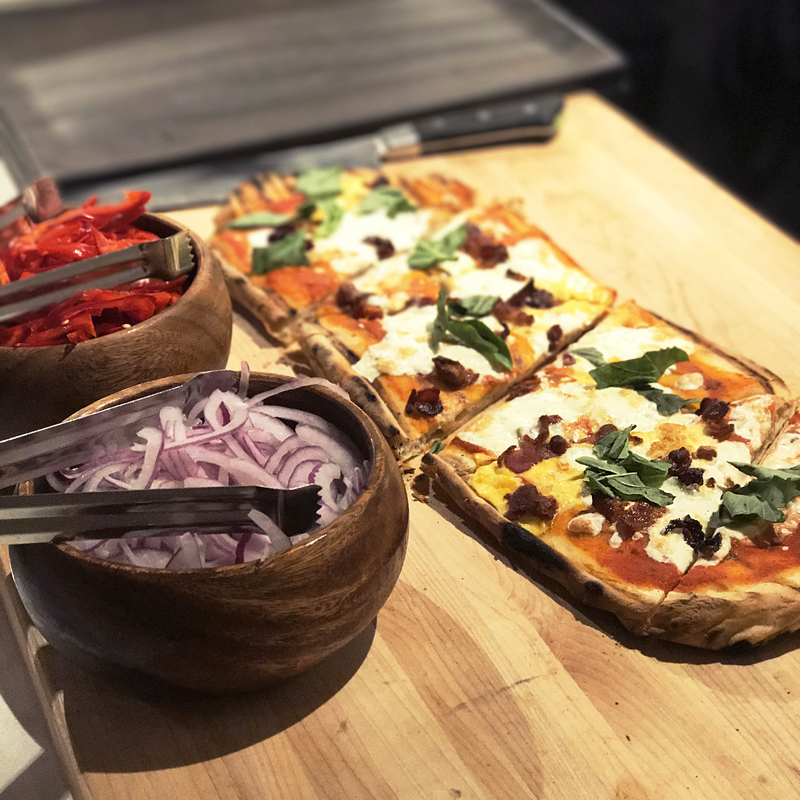 Coming from an Italian family I always love to home make pizza for my guests. This can be the main course or an appetizer, and you can play around with all sorts of toppings. TIP: For the perfect pizza, invest in a pizza stone, they bake the crust perfectly crispy. I love S’mores. 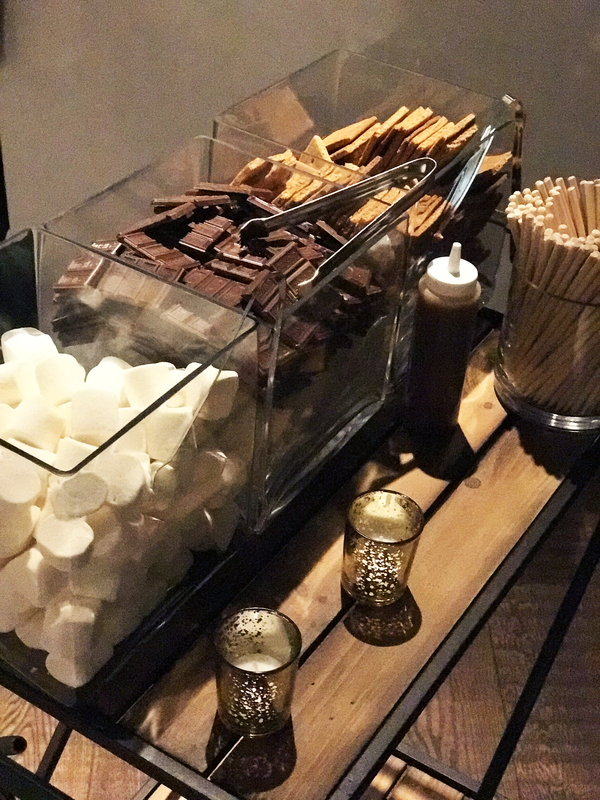 I know they are typically a summer dessert, but you can recreate this tradition safely indoors by using an electric s’mores station. TIP: Replace the chocolate with peppermint bark for a holiday twist. One of my favorite holiday traditions is decorating gingerbread houses. This is a great way to get any children at your party involved. 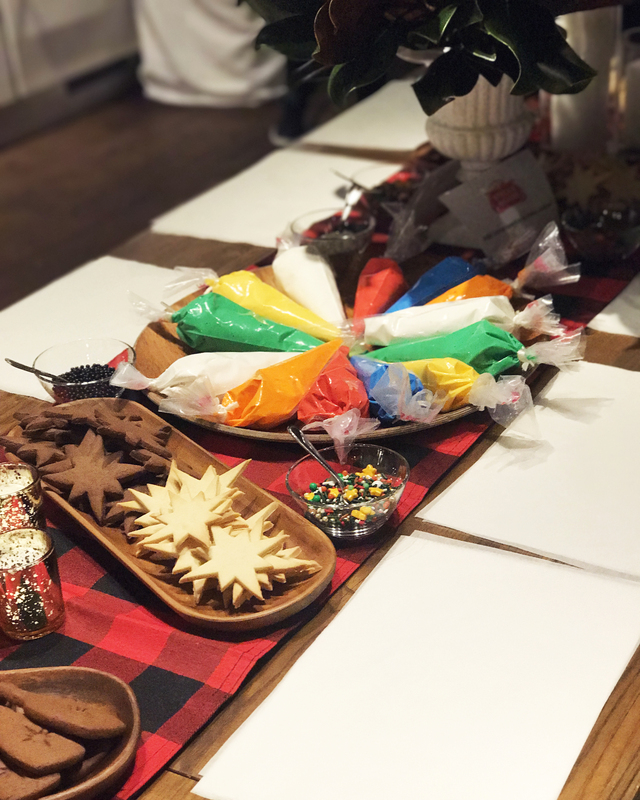 Lay out plain cookies, icing in different colors, and candy toppings so your guests have plenty of options on how to decorate their cookies. 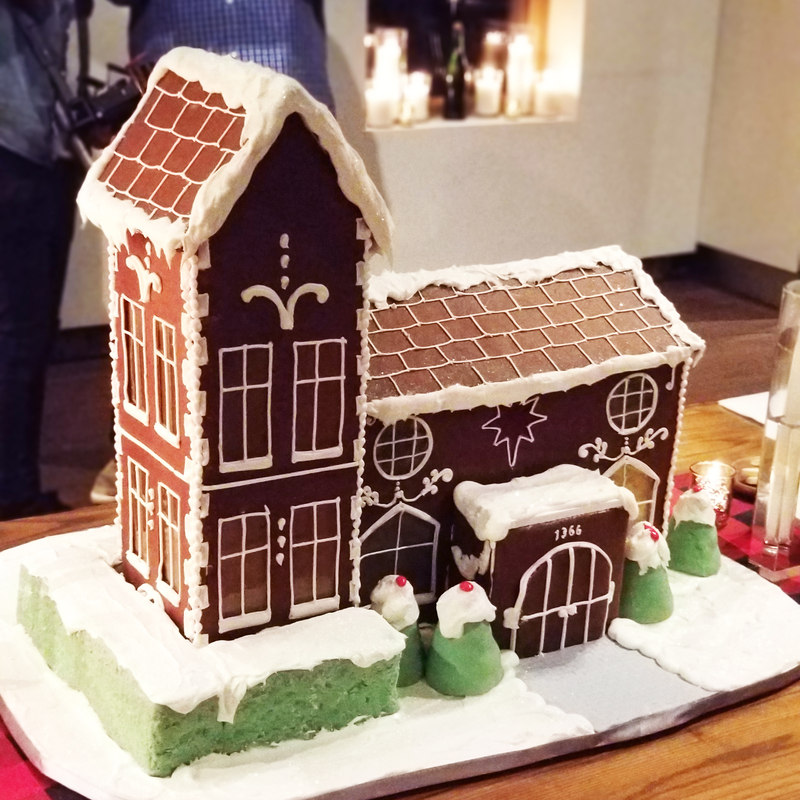 TIP: If you don’t plan to eat your completed house, build the walls of the house using a hot glue gun rather than icing. Your house will be much sturdier so you can load up the candy decor.